Lunch Cruise lasts Approximately 2 hours. Dinner Cruise lasts Approximately 3 hours. 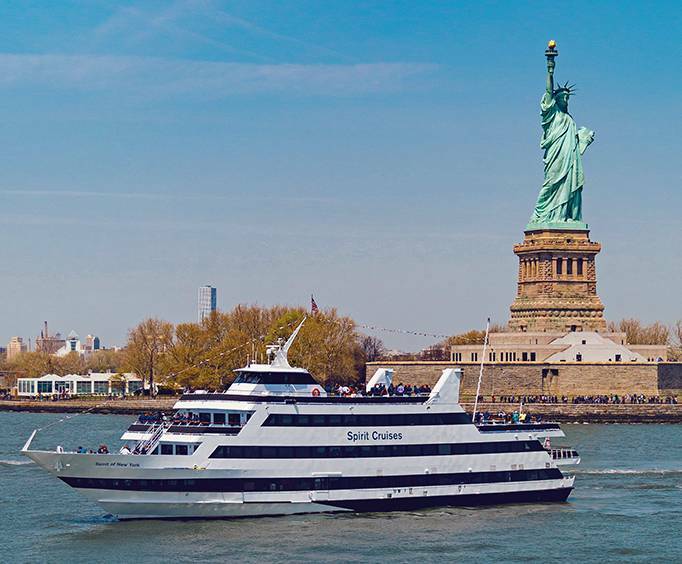 Spend an afternoon or evening with the Spirit of New York Lunch & Dinner Cruises, taking in all the incredible harbor views of Manhattan from the Hudson River, dining on gourmet cuisine and enjoying first class entertainment. 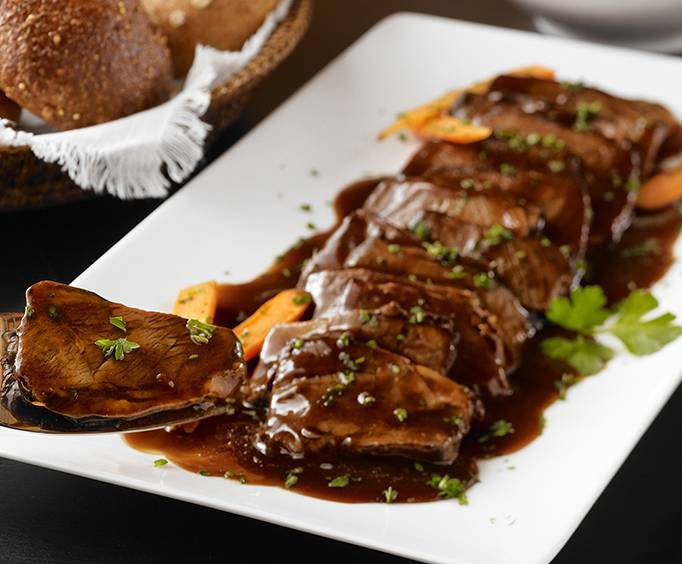 Depart from Chelsea Piers on the west side of Manhattan and dine with family and friends as you enjoy mouthwatering foods from the buffet which features a variety of delicious options, perfect for all kinds of picky or non-picky eaters. After a filling meal, take a stroll through one of the three spacious, climate controlled interior decks where you can gaze at the gorgeous city scape through the panoramic windows or feel the wind in your hair atop the open-air roof deck. Soak up the sights and sounds of New York City as you float by world famous landmarks such as Ellis Island, the Statue of Liberty, the World Trade Center Site and many more. 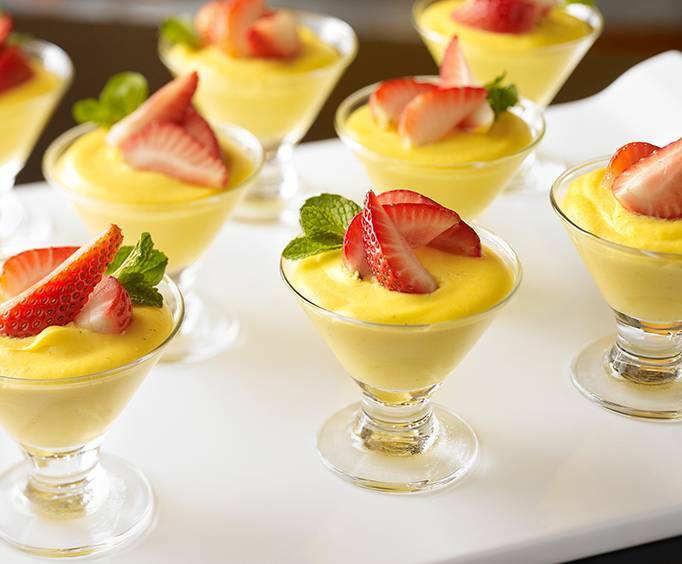 The Spirit of New York Lunch & Dinner Cruises are custom designed to offer guests the most beautiful harbor views, a delectible meal and world class entertainment for an unbeatable experience cruising the waters of New York City. Appropriate attire for the dinner cruise includes slacks and a jacket for men. Appropriate dinner cruise attire for women is a skirt or a dress. Collarless t-shirts, jeans, shorts or sneakers are not allowed. For all other cruises, casual attire is fine. The Spirit of New York features cruise style seating. The majority of tables accommodate four to eight people and guests are sometimes seated with other parties. This exquisite yacht has been newly renovated to feature bright, colorful lighting, modern accents and contemporary table settings for a fun, high energy experience. The ship boasts a rooftop lounge with comfortable seating and a full bar as well as two large decks, perfect for strolling and picture taking. An additional three full service bars are located throughout the cruise ship as well as lighted dance floors, a DJ booth and panoramic windows. The ship's capacity is 600. Brooklyn Bridge: One of the oldest cable/suspension bridges in the United States. It measures 1,595.5 feet across. Includes admission on the Spirit of New York Lunch Cruise. Includes admission on the Spirit of New York Dinner Cruise. We went on an august evening and the service was excellent, the entertainment was very very good and the sights were incredible. Everyone was snapping pictures of the waterfall, statue of liberty and the downtown buildings. The entertainment was really cool. It was like a family affair. We meet new people,everyone was really enjoying themselves. It was really a spirit of new york. This cruise was the perfect venue to wine and dine my significant other. The ambiance was so romantic. Everything was spectacular. I can't wait to cruise again with the bateaux. Needless to say, my girlfriend was above and beyond pleased with the whole experience. Fantastic staff too!